TIFF 2018 – Summing up the week. The week is over and another excellent week of films. The best film of the week was Green Book which happily won the People’s Choice Award. I suspect this means some major Oscar nominations and wins are in the book for Viggo and Farelly. The big disappointment of the week was First Man, a look at Neil Armstrong and the moon landing. Could have been good but fell way short. I really liked most of the films I managed to see and of course like every year disappointed that I missed out on some good films that will be out in the coming months. Besides the ones I have reviewed positively I would urge you to see If Beale Street Could Talk, Widows, Sisters. Brothers and well… many others. One of the best aspects of TIFF is the chance to hear the film makers and actors in the Q and A’s. This year I was lucky to get several great ones including Green Book’s cast and director Farelly, Michael Moore, Denys Arcand and the directors of some smaller films like What is Democracy. You gain insight into the decisions around the creation of the film, the motivations of the actors and the relationship between the director and cast. The most exciting moment of the week was the extended standing ovation we gave to Viggo Mortensen and his supporting cast and director at the Elgin. The most disappointing was having to leave early from one the Wavelength films, What are you Going to Do when the World’s on Fire. I guess a film festival needs to be open to experimental filmmakers, but I would urge my followers to avoid these films at all costs. As always it is great to be downtown while the crowds are out on the street and the general buzz of the city. Of course one of the downsides is that one’s diet is totally destroyed including what you eat and when you eat and if you eat. I guess one of the sacrifices for getting to see some great movies. Next year will be my 25th anniversary at the festival. Kind of hard to believe. This year, like most years, there is controversy around the Oscar ceremony and the nominations. This year like last year the Academy has been accused of failing to show much diversity of race or ethnic origin in its list of nominees and has also failed to recognize the contributions of women to film other than the obvious Best Actress and Best Supporting Actress categories. The criticism from the black community has been particularly harsh and pointed this time to the point of attacking those who were nominated but I was impressed with the reaction of this year’s host, Chris Rock who tweeted he would be hosting “the white BET awards”. This gets the point across without insulting those who have been nominated or the existing members of the Academy who vote on the nominees. It sticks it to them by being funny and spot on. A look at the membership of the Academy shows them to be largely older white men and this unfortunately looks like a description of the Tea Party membership. I think however that to paint these two groups with the same brush is completely inappropriate. The other aspect of the criticism this year that is disturbing is the implicit and sometimes explicit criticism of the quality of the nominated films and artists. It is completely appropriate to question the lack of diversity but to then say that films that were nominated were undeserving is something completely different. Those who feel that Compton or Concussion or Beasts of No Nation deserved a nod ahead of the films nominated are expressing a critical and aesthetic judgement that can be argued both ways. There has also been more tempered reaction from black artists who point to the fact that the issue is complex and lies with other factors. There is a need for more films that give meaningful and diverse roles. This is being done more and more as illustrated by the recent Star Wars film in which the lead protagonist is a woman and her closest ally is black. Although Stallone got the nomination for Creed when his co-star Michael B. Jordan was also deserving and went un-nominated also illustrates the point as does The Hateful Eight and other films. Stallone was nominated likely because of his history and length of service to film. Beasts of No Nation is a great film but made for TV, Hollywood’s increasingly important competition, so may well have suffered for that. Furthermore, it needs to be stated that the nominated films and actors are not undeserving themselves despite their skin tone. The view I tend to support is that this is a complex issue and that greater diversity in the industry itself will allow for great diversity in the award ceremony. Increasing diversity however must be addressed actively and not simply left to develop on its own. The Academy has pledged to increase the diversity of its membership but that will take time, meanwhile it will be important for the current members to enter into this discussion and be encouraged to recognize the contributions of everyone, black, female, latino etc. The other point that needs to be made is that recognition of diversity through awards also opens the door to diversity in the industry and encourages participation by everyone. It can only be good. In the meantime, the decision of Spike Lee to boycott the show and not even watch is unhelpful and asking Chris Rock to pull out of hosting is not the solution. Rock has agreed to continue despite pressure to pull out. His tweet suggests to me that there is no one better to do the job. He will not pull his punches I hope and will be intelligent in doing so. I look forward to the show and particularly to Rock’s contribution. Quincy Jones, a long time Hollywood musician and composer, has been asked to make a presentation this year. He has said he will ask for time to address the diversity issue and will withdraw as a presenter if he is denied his request. I think it would be in the best interests of the Academy and the show if he is given his time. It can only help to address this issue. I think it is great that no one is asking for quotas but rather opens the door to full diversity and the recognition that awards like the Oscars that exist to promote the industry need to be fully inclusive. Spike Lee on announcing his boycott praised Rock for continuing and said he could think of no one better take on the role this year particularly. Funny then that he would choose not to watch or participate in support of his friend. Participation and labelling of the issue is the solution, dropping out or dumping on your colleagues who were nominated is not the way to go. Welcome to my 2015 blog site and movie reviews. I am looking forward to the next 10 days and will keep you posted on the films I see. Tonight I am off to Hitchcock/Truffaut to kick it all off. I hope for some guest posts as well from a couple of agents out there. This year’s lineup looks good with some excellent films scheduled. I am looking forward to seeing some first run films but not too many this year. I will be after some non-Hollywood things as well – actually more than usual this year. So I hope you all enjoy the reviews and I look forward to your comments. All for now – see you here again shortly. The last of the Maverick interviews for this week for me at least. This time with Daily Show host, Jon Stewart, who is premiering his new film Rosewater. Stewart’s fans will remember he took last summer off to go to Jordon to film a feature length docudrama about the arrest and torture of Iranian/Canadian journalist Maziar Bahari. Stewart is an incredibly smart and very funny satirist who has taken a very serious look in his first feature film. He was interviewed by CBC’s Jian Ghomeshi, also an Iranian/Canadian. The interview also included Bahari who joined the stage part way through the interview. It’s just one of the special opportunities you can have at the festival. By the way this interview and all the other ones are recorded and will be posted online at TIFF.net in the coming days. This year I decided to try out the Mavericks Program. 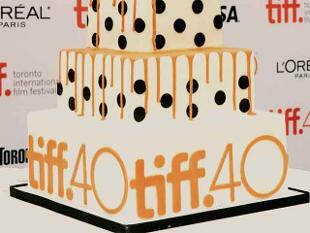 TIFF invites some of the stars and film makers to sit down for an hour to an hour and a half with an interviewer. This year I booked two, one with Robert Duvall and the other with Jon Stewart. So on the 5th Robert Duvall was the guest and he was great fun to listen to. The session was started with a series of short clips from his incredible career, starting with To Kill a Mockingbird to Tender Mercies to M.A.S.H. to The Judges. They really brought back memories although they did not include the napalm scene from Apocalypse Now. (so here it is: https://www.youtube.com/watch?v=Jts9suWIDlU ). He gave us anecdotes of the early days when he shared a Manhattan flat with Dustin Hoffman and Gene Hackman before they were stars. Told us about the making of the Godfather, The Apostle, and Tender Mercies. We got a really great insight into one of the great film actors of our time. Should you get a chance to do this at a future festival I highly recommend it. Welcome to my blog for this year’s festival. Already the cranky people who loved the festival in the past are complaining that it has become elitist and no longer the wonderful experience it was back in 1975 or 1980 or whenever their own involvement started. Yes now there are memberships and members get earlier access and yes there are very expensive packages that only the 1 percenters can afford but the truth is that in the “good old days” it was way worse. There were few high quality films and getting tickets was incredibly time wasting and only the real addicts could handle the hassle. The truth is that this is still the only film festival with everything from Oscar contenders to small independent documentaries and dramas to which anyone can get tickets. The crowds on King Street are fun in themselves and yes you will see stars if you persist. Looking forward to a great week shutting out the buzz killers and seeing some great films. Okay – I did not spend the entire week sitting in dark rooms with strangers. Today I went to see my youngest granddaughter play soccer in an end of season tournament. I couldn’t see all the games unfortunately but I did get to see the most exciting one. Her team was playing the “Red Team” who are very good but missing their two best players, known only as “The Twins”! They apparently were away for two weeks on a Disney Cruise with their parents. Nonetheless this team was very good even without their stars and my granddaughter, who I will call SW, sporting very classy yellow soccer boots was facing one of her greatest challenges of the season. The Red Team came out strong and by the end of the first half SW and her friends were down 2 – nil. Not to be fazed however they regrouped at half time and came out determined to do better. Within a few minutes they scored to cut the margin to 2-1. The Red Team was shaken but still had the advantage and looked to be able to hold on to the win until with a brilliant dash, SW broke down the field and with a look of determination drove the ball hard into the back of the Red Team’s net. A brilliant strike to rescue her team from defeat scoring the tying goal in the dying minutes of the game. Hooray!!!! Grandpa is super proud.